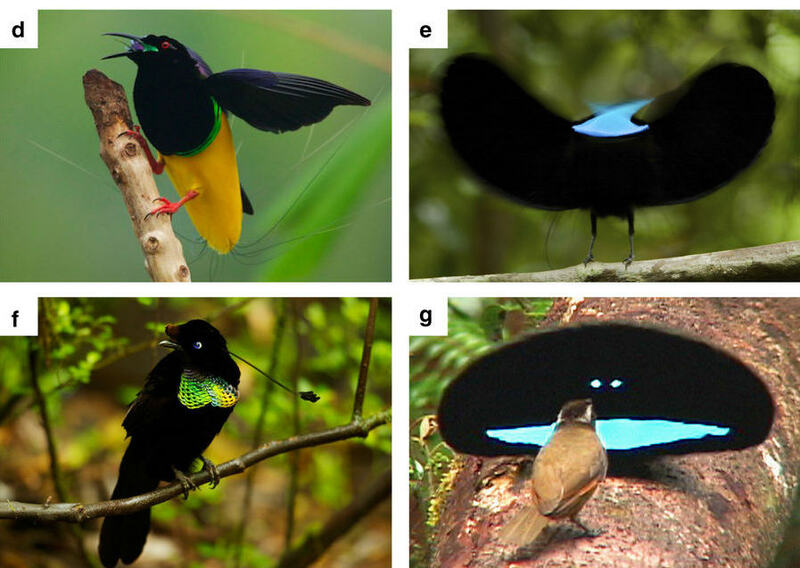 How are the feathers of Papua New Guinea's "birds of paradise" so freakishly black? Because, man, they really are. Crows and blackbirds look, y'know, black-like ... but birds of paradise look like a hole has been punched in reality. It's like they've been coated in Vantablack, the freakily engineered substance you can coat on objects to make them superdark. The birds also often have striking colors, of course; but the parts of them that are black are inkily so. A team of biologists have finally published a paper unraveling the secret: The feathers, it transpires, are essentially covered in light-trapping nanotech. The feathers absorb up to 99.95 percent of all incoming light, which, as it turns out, is pretty close to Vantablack itself, which captures 99.965 percent. The paper's here. Wallace Steven's poem is here.